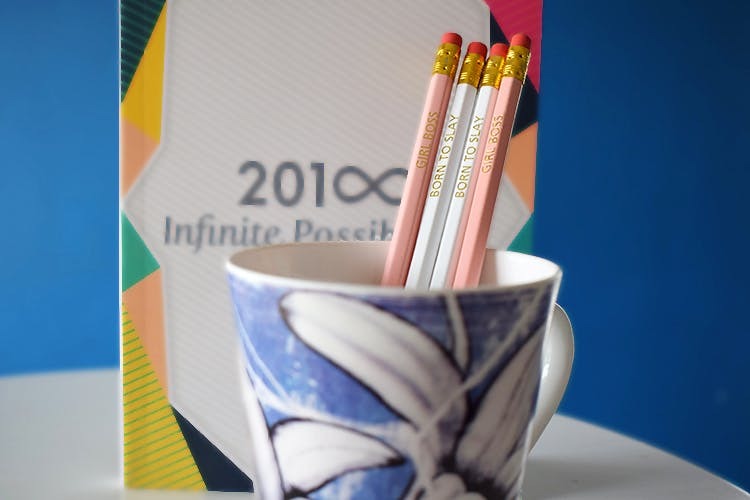 Make your work fun, productive and more organized with there stationery items from Supple Room that will motivate you to do your best every day. If you’re someone who wants to have fun and looks for little stress buster while working, this brand will help you! Doodling have never been so exciting! Supple Room has pencils which say “Born To Slay” and “Girl Boss”. Loving the sound of it? You need these in your life. The pencils are hex, which means they won’t roll off your desk if left unattended (yay, no more losing pencils). They’s good for sketching too, so try your hand on them now! We know how annoying it can get when everything looks like all over the place, so organize all your documents and keep them in files instead of keeping a heap of documents on your desk. While most of us have schedules that changes on a daily basis, having a heads up of what the week looks like can only help. Lay down your agenda of the week and start every morning with a purpose (and of course happy colours). Supple room has to-do list pads in beautiful pastel colours that you’ll want to decorate your desk with. You might not want to spoil them, but we say put your thoughts on the notepad and never ever miss out on any task.